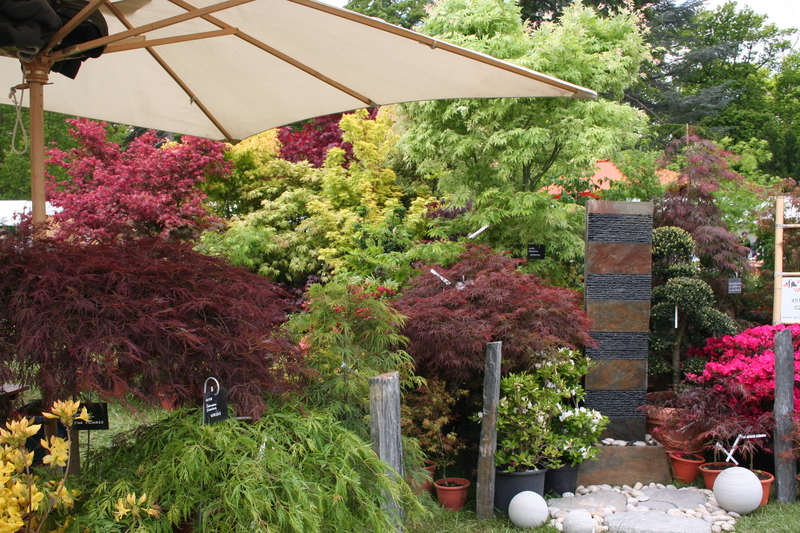 Last Friday we travelled up to the leafy outskirts of Paris for our yearly pilgrimage to the Journées des Plantes de Courson, the bi-annual plant fair now in its 58th year. 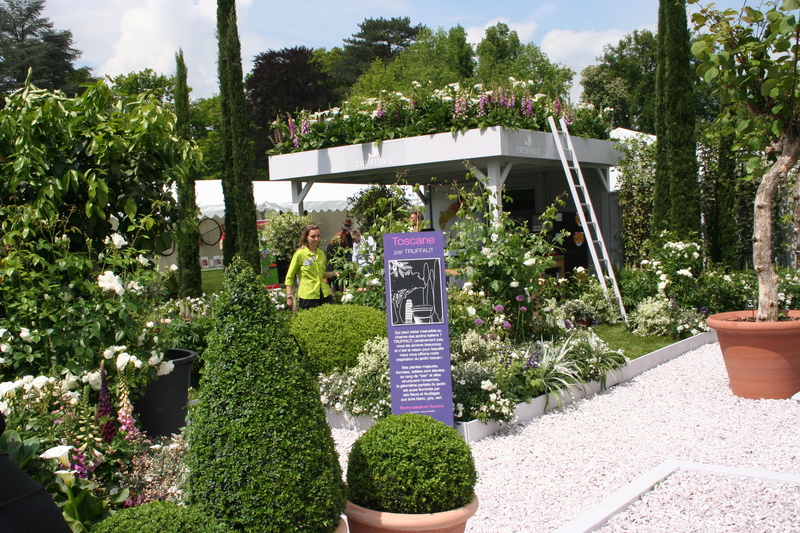 Many of the nearly 300 nursery stands took part in the American plant theme, so the range of plants on offer was slightly different to previous years. I was pleased to see that a plant currently looking lovely in our garden but native to Eastern North America, was given a Merit Award. Amsonia tabernaemontana is a blue flowered and long-lived perennial, forming an arching clump of green, willow-like leaves. Ideal for prairie-style planting I would think, we have it in a border close to Golden Hops and Tree Peonies. As usual the variety of plants available to buy was almost overwhelming, but this year we limited ourselves to just a few bits and pieces to add to a garden which is filling up rapidly. 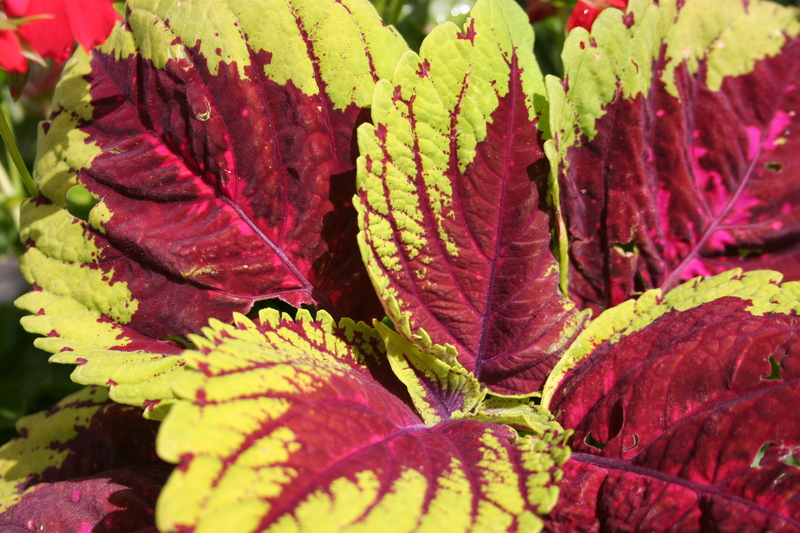 Heucherella Solar Eclipse boasts beautifully scalloped, maroon-burgundy leaves with a lovely lime-green border. It’s a new variety of Heucherella – a cross between a Heuchera and a Tiarella. 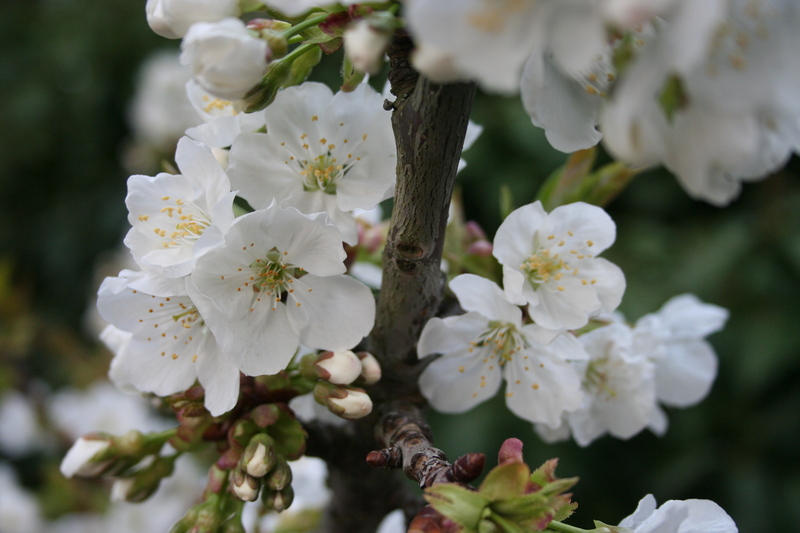 It forms a small mound of evergreen foliage with upright white flowers that bloom in spring and is ideal in shade. 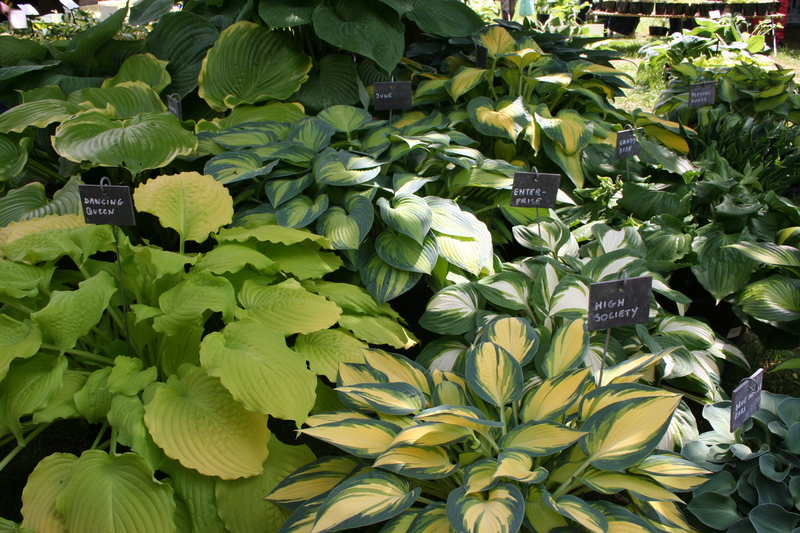 We thought we might try a new Hosta in a similar position and chose Big Daddy, with huge chalky-blue leaves that at maturity become cupped and grow into three feet tall clumps. 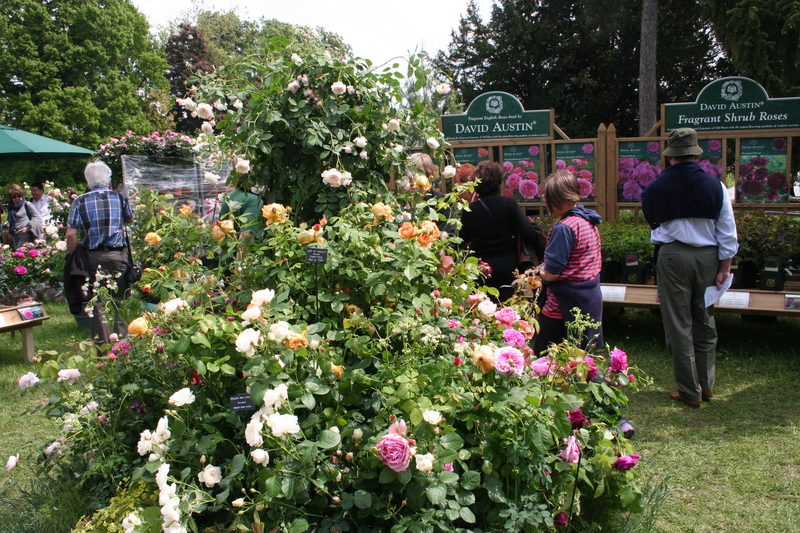 As always, David Austin was at the show to represent UK growers. For the sun I bought Salvia leucantha to replace one I left behind in our last garden in England. S. leucantha is an evergreen subshrub growing to around 1.2m in height, with narrowly lance-shaped leaves, white beneath, reminding me of a little Buddleja. The small white flowers have prominent arching velvety purple calyces from late summer to the first frosts. As with other Salvias, it is worth taking some cuttings to ensure it over-winters. While Chantal was drawn to scented Pelargoniums from the National Collection holder, based not a million miles from our home, I had found a most marvellous climber, Actinidia pilosula, which I thought would be ideal hiding a downpipe on the sunny side of the house. It is somewhat like Actinidia kolomikta, having leaves variegated pink and white, but in this case the leaves are longer and narrower and it has lovely pink flowers. A smashing plant! Gradually I am meeting many of the more interesting characters of the French horticultural industry but at a lunch with the organisers and judges I sat with Roy Lancaster and Paul Rochford, over for the judging. It made a nice change to talk to a few English gardeners again! Back to work, and I have a tour to lead, with Australians this time, visiting another ten gardens in the Loire Valley over a week. Most of the planning is done, including a couple of gardens new to me, but I have the final touches to put on my schedule before arrival time tomorrow afternoon. Yesterday was another garden tour day with clients, charming Americans this time, visiting the royal palaces of Chenonceau and Amboise, with a rather lovely lunch and a wine tasting thrown in for good luck. Not, it must be said, the worst day I have ever had! Having a little time spare in the morning, I dropped in to a nursery near Montrichard, on the banks of the river Cher, which had been on my wish-list for some time. 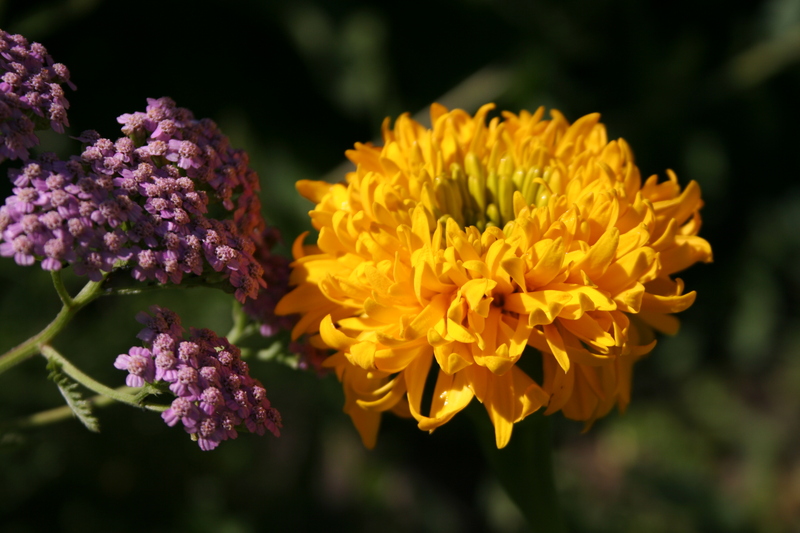 Simier are growers of a very wide range of plants, mostly bedding, herbaceous and patio subjects, and work with a large number of local authorities. Their retail plant nursery is a joy and I immediately wished I had more time to explore. I did select a few plants: a purple Banana, Ensete ventricosum ‘Maurelii’, a really exotic plant for our hot border, Houttuynia cordata ‘Chameleon’, a pretty but invasive groundcover plant to act as a surround to the swimming pool shower, and two Salvias. I have always liked Salvias and in England had a little collection grown in raised beds around the patio. 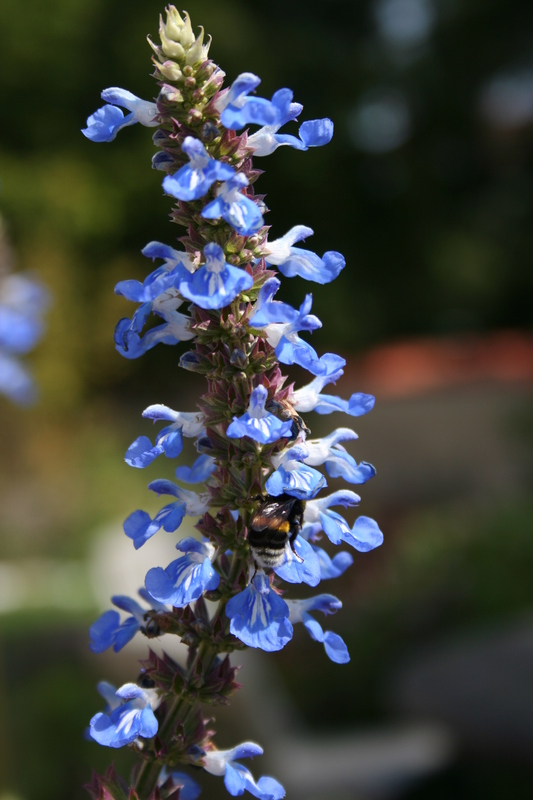 Only one of these, Salvia uliginosa, the unfortunately named Bog Sage, followed us to France. It has wonderful, clear light-blue flowers which rock from side to side in the slightest breeze and are attractive to Bumble Bees. 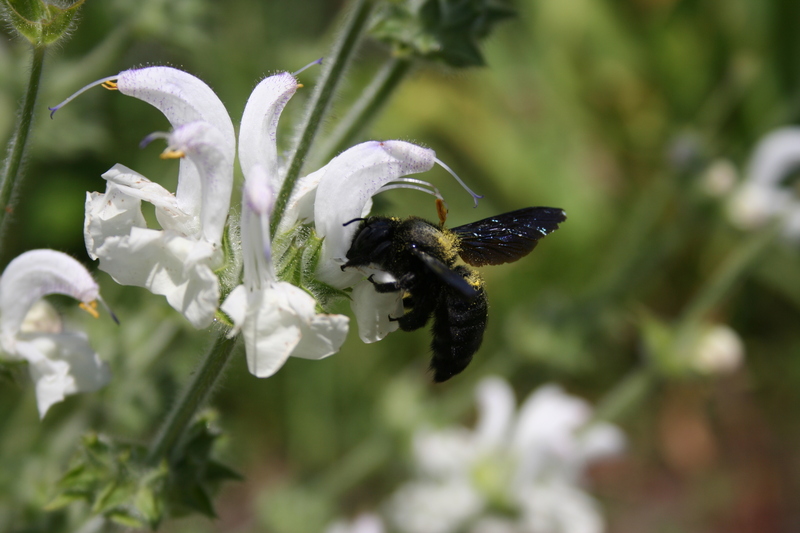 Bought at an English nursery, Salvia argentia has hairy silver leaves arranged in a ground-hugging rosette. It has off-white flowers after the second year but these are enjoyed at the expense of the leaves, which at that stage become much less silver. For this reason, the flower spike is often removed, but I tend to leave the odd one or two and hope for seedlings later. I am delighted with our plant of Salvia microphylla “Grahamii”, acquired as a cutting from the local park. It survived its first very tough winter and is now a delightful bush, dotted with pink-red flowers and with foliage mildly smelling of blackcurrant. There is a white form planted en masse in a neighbouring village which I also have my eyes on: never trust a gardener! From Simier I bought Salvia involucrata Bethenii, a Mexican plant which I had in my collection in the UK. It is an exotic-looking plant, with rose-like buds opening to wonderful pink trumpet flowers. I have planted it on the site of a Pittosporum which passed away over the winter and I am hoping for great things from it. The other replacement Salvia is S. elegans Golden Delicious, with bright, pineapple-scented yellow foliage and fire engine red flowers. I had a group of these here a couple of years ago but lost both the parent plants and a batch of rooted cutting when temperatures dropped to -26°C last spring. This plant has been given pride of place at the front of a new border, created after the installation of the swimming pool. Again, I have high hopes for it and can see myself buying many more Salvias for the garden. Easter weekend; it’s cooler than we would like but the predicted rains did not come, much to the pleasure of visitors and the disappointment of local gardeners, who have not seen rain in months. The annual Donkey Fair and flea market took over the streets of nearby Poulaine, a huge success, attracting crowds of locals and weekend trippers from as far away as the capital, Paris. 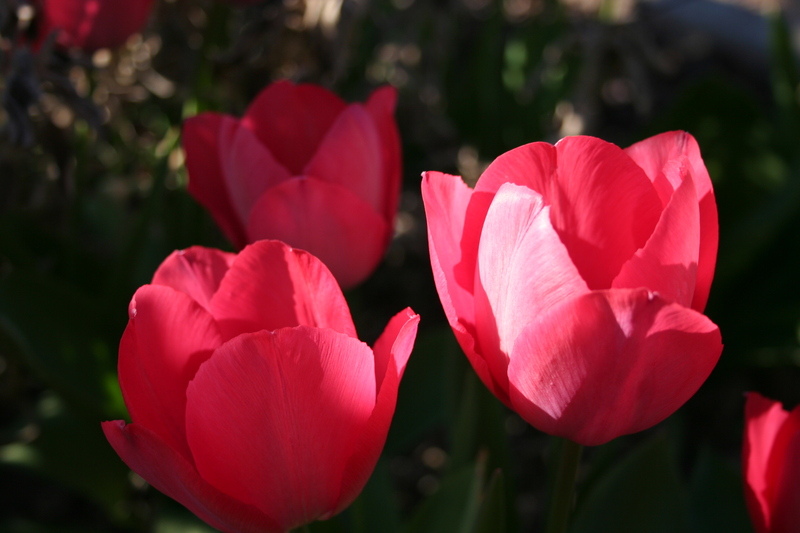 Local gardens, ours included, are bursting with spring blossom – Daffs and tulips going over, Cherries at their peak and Lilac just starting – distracting the eye from the damage caused by the single tough week of winter we experienced this year. Each day we are out there, checking for signs of life from plants which look like they will never recover. And each day there is another happy discovery of tiny buds opening at the base of an otherwise lifeless shrub, or shoots pushing up from a bare patch of ground. Once the extent of the problem is clear I can get out the secateurs, cutting out dead wood to make way for new healthy shots. Santolina was hard pruned a couple of weeks ago and is now covered with tiny green leaves; Phlomis, both P. fruticosa and P. purpurea, have recently had the same treatment. Reddish buds are expanding all along the shots of the flowering Pomegranate, Punica granatum ‘Rubrum Flore Pleno’, a fine little plant given to me by a local gardener. I have since successfully taken cuttings from a large shrub in a friend’s garden and those too are budding up. Our three Phygelius varieties are all now starting to grow from ground level and today I spotted buds at the base of the hardy Fuchsia magellanica gracilis ‘Tricolor’. As exciting as all this is, there are also disappointments. Two varieties of Phormium look as if they have departed this world, along with Hebe Great Orme and a white flowering species whose name escapes me for the moment. You can knock me over with a feather if life returns to our Leycesteria Golden Lanterns: such a pity. Lemon trees? Don’t talk to me about Lemon trees! 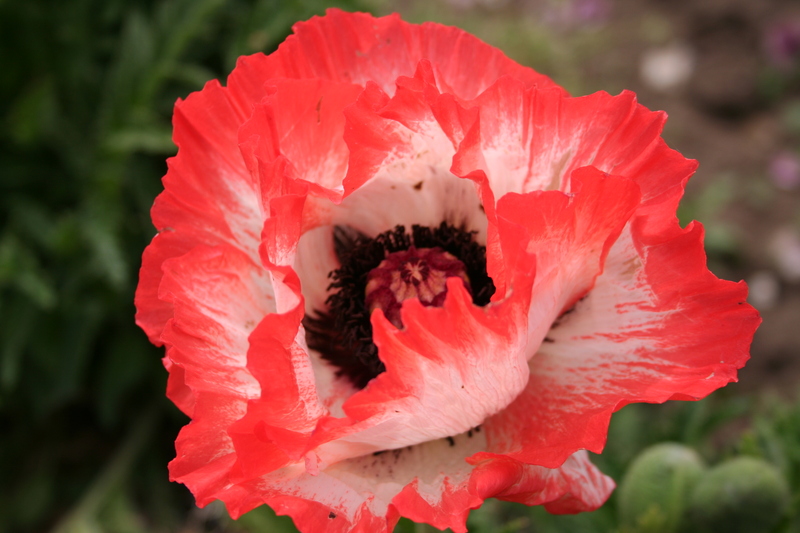 We have lost many, but not all, of our Camellias and the Mimosa, Sophora, and Erythrina are no longer with us. They can stay in the ground for a while yet to give them a chance to prove me wrong. A few plants bought this winter didn’t even see the soil before they succumbed – I wouldn’t want you to get the idea I’m bad at this gardening lark, but unfortunately the list is even longer than this. I refuse to dwell on it further. A gardener has to develop a philosophical attitude or you would give up after the first few disasters. Failure comes with the territory I’m afraid. Easter Monday is a public holiday and the third day of the plant fair at La Bourdaisiere, a chateau close to Tours in the Indre-et Loire. I have talked about this chateau and its amazing tomato collection before, but this was our first visit. It is a lovely chateau with formal terraces and Italianate stairways in a wooded park above the River Cher. The walled vegetable garden is around 4 acres in size and in the season they also have a notable Dahlia display. 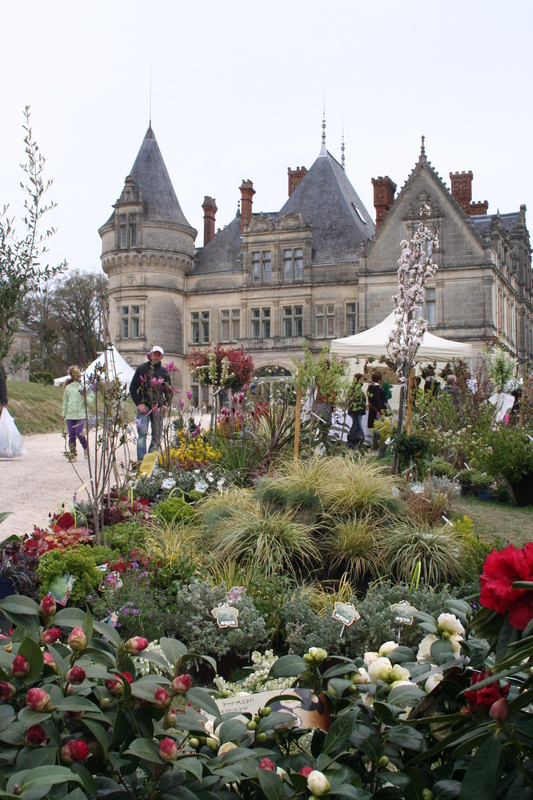 The plant fair was spread around the grounds encouraging visitors to explore as much as possible. There was a good selection of plant nurseries and some interesting gardening accessories but to my surprise we left empty-handed, apart from a large sack of a new mulching material called Strulch, developed by Leeds University and marketed by an English company. Perhaps it’s just as well, with the new swimming pool excavations causing chaos throughout the garden. Time enough to buy more plants when this work is done and a new planting plan agreed upon. People have been telling me for ages that the cuckoos have arrived but now I can report that they genuinely have returned to the woods around Chabris. Last Friday was our first sighting (hearing? ), within the range of arrival dates we have been noting since we moved to central France. The cuckoos tend to bring the warm weather with them and it has been very warm these last few days, with temperatures in the shade a full 10°C above normal. 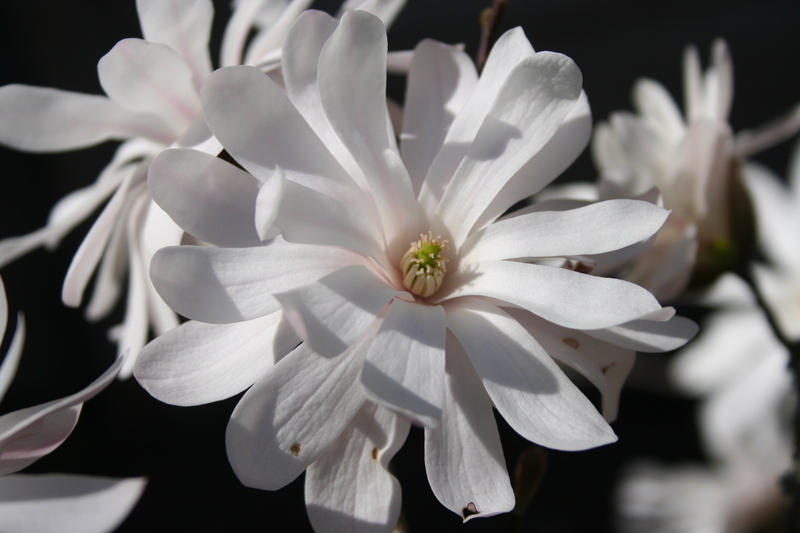 Apricots, peaches, and cherries are all in flower in the gardens and here and there deciduous Magnolias, in colours ranging from purest white to deepest purple, can be seen in many gardens, including a M.stellata smothered with flowers in our own. 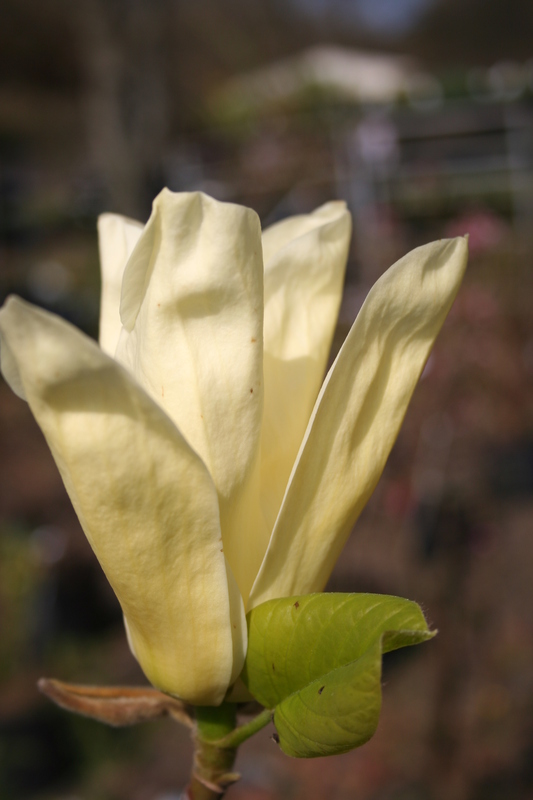 Visiting the plant fair at the Chateau de Cheverny over the weekend, we photographed a stunning yellow variety called Magnolia (acuminata x. denudata) ‘Elizabeth’ bred by Brooklyn Botanic Gardens and named after a benefactor, Elizabeth van Brunt. Having a young yellow hybrid tree already we resisted the temptation to buy this, but did come back with a nice handful of plants. 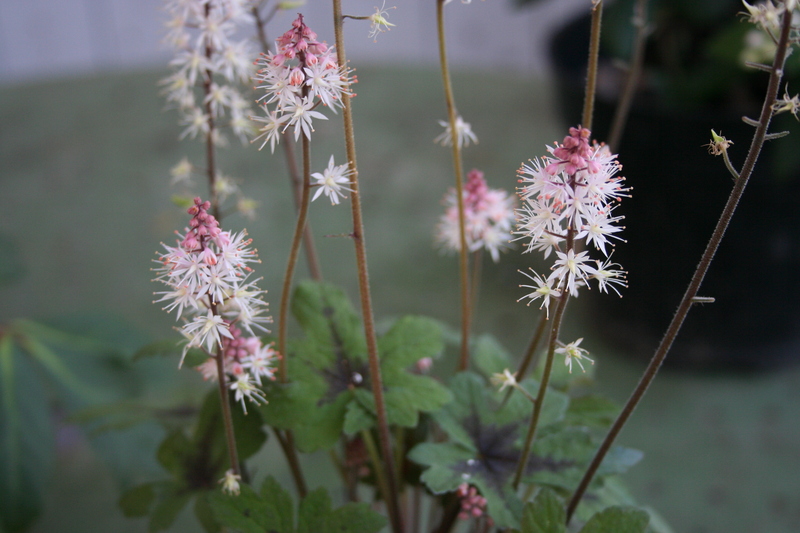 Tiarella Spring Symphony is one of the new hybrids with highly attractive leaves and improved flowers. 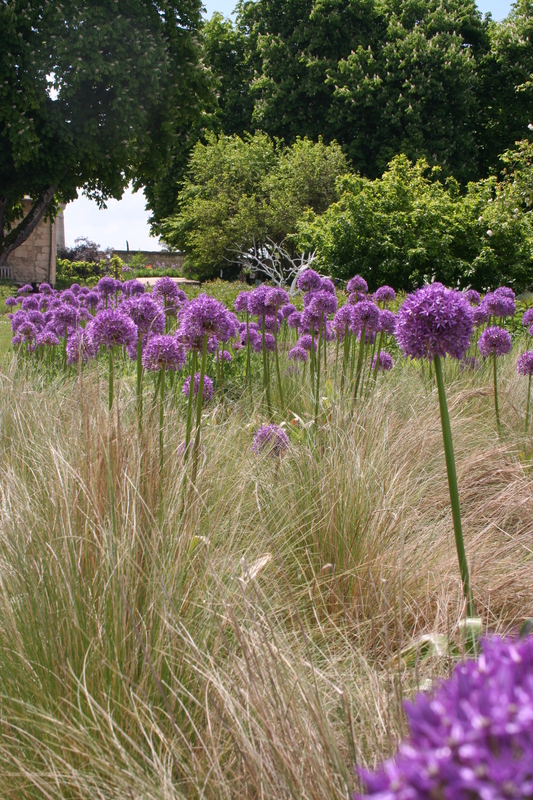 This repeat flowering, clump-forming variety blooms in spring, producing 15cm spikes densely packed with pink blossoms. Its deeply cut foliage is compact, with black markings along the midrib. Tiarellas are at home in moist woodland environments and we hope it will be just perfect under the Sequoia. I should have bought half a dozen really, to form a ground covering group. Our left-hand bed will need a complete redesign once the swimming pool goes in, and we thought Arundo donax Variegata would be ideal, adding vertical lines and an exotic feel close to the water. It was bought from the stand of the local horticultural college, who were not at all impressed that I offer courses to students via the internet! Calycanthus occidentalis, the Spice Bush native to the mountains of central and northern California, came from the National Arboretum Des Barres, who were offering all sorts of rarities for sale. 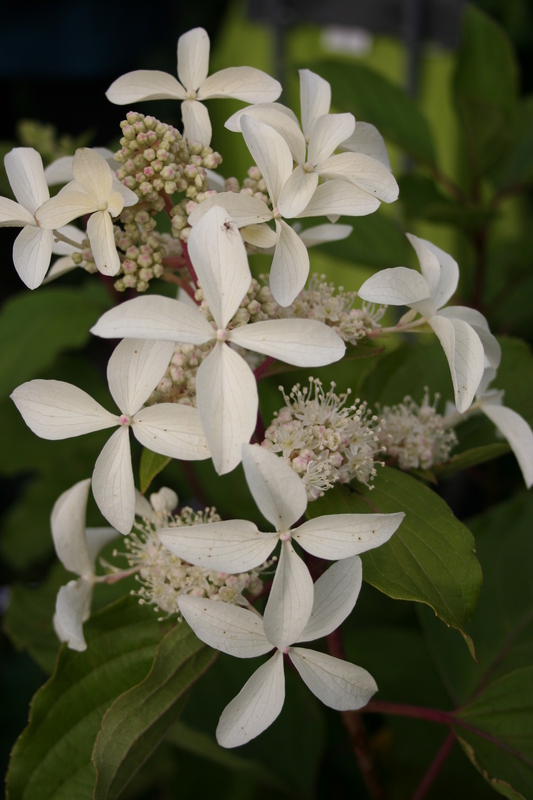 I have never grown this shrub, but have seen it in a number of gardens and we look forward to having it in flower this summer. Olivet nurserymen Piermant are specialists in Hydrangea and Viburnum and from them came evergreen Viburnum x globosum Jermyns Globe. A chance seedling of V. x globosum (V. davidii x V. calvum) found at Hillier’s West Hill Nursery, ‘Jermyns Globe’ is a large shrub, extremely dense and rounded in habit. White flower heads are followed by blue fruits, which persist until the following spring. Most gardeners will think it is a form of Viburnum tinus, so it should be a conversation piece. 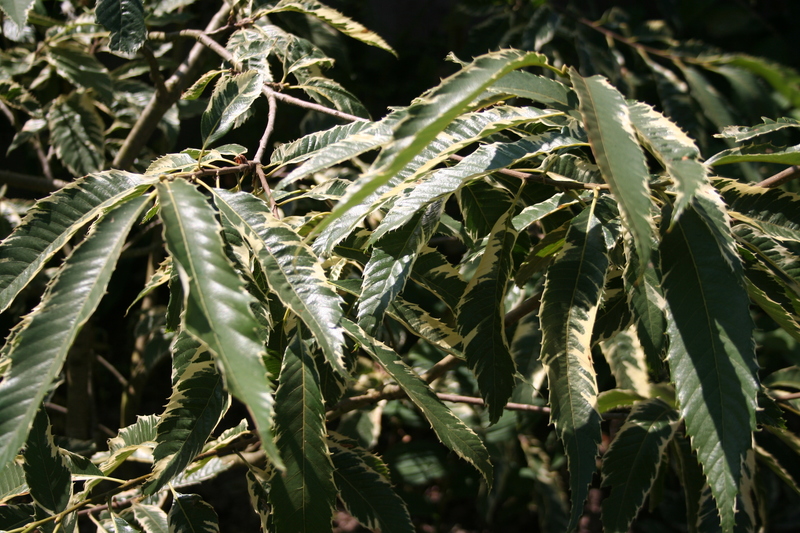 Our final plant is a very interesting find, Forsythia koreana Kumsun, a most unusual and unique form. 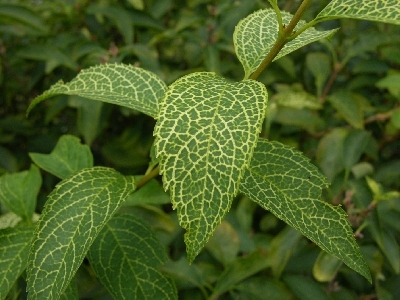 While having familiar, golden-yellow flowers in early spring, it leafs out to reveal highly unusual, variegated leaves – an intricate network of decorative veins in the leaves that is extremely rare in nature and incredibly attractive. Since this leaf colour lasts throughout the entire growing season, it takes the ornamental value of forsythias into a whole new season – from the emergence of flower buds in early spring, through the luxuriant growth of summer, to the arrival of frosts in late autumn. 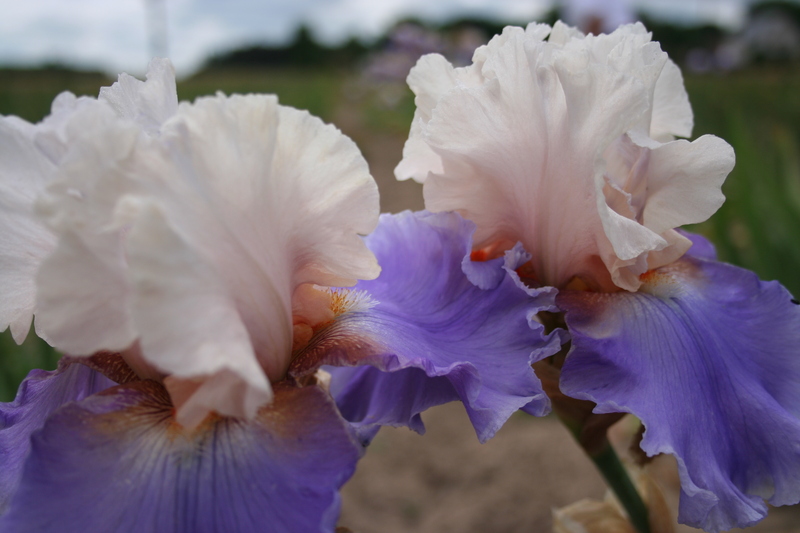 Tim Wood, of Spring Meadow Nurseries in the USA discovered it while visiting Kwan-gnu-ng Arboretum and Sungkyunkwan University in Korea in 1999, since when it has been on trial with several nurseries. The ‘fête des plantes’ was a great success with well over 100 exhibitors this year, raising money for Rotary Club good causes and attracting a good crowd of visitors on a gorgeous, sunny weekend.